To finish the pre-dawn hours of 5AM and 6 AM, I'm completing the four corners of Bay Station. Many of the intersections along Lincoln, a main thoroughfare across Alameda, have "station" names to match the cross street where there used to be streetcar station. My intersection is named Bay Station for Bay street. 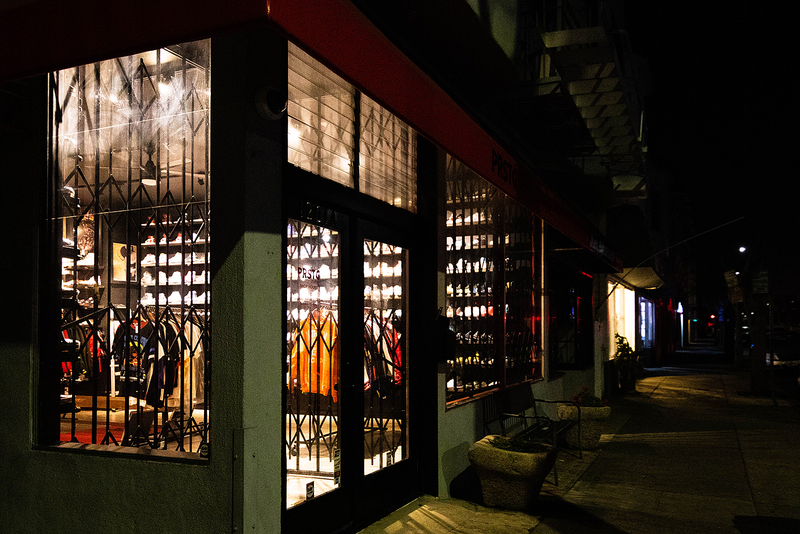 For 5AM I captured my third corner that contains a very popular shop that buys and sells collectible shoes. 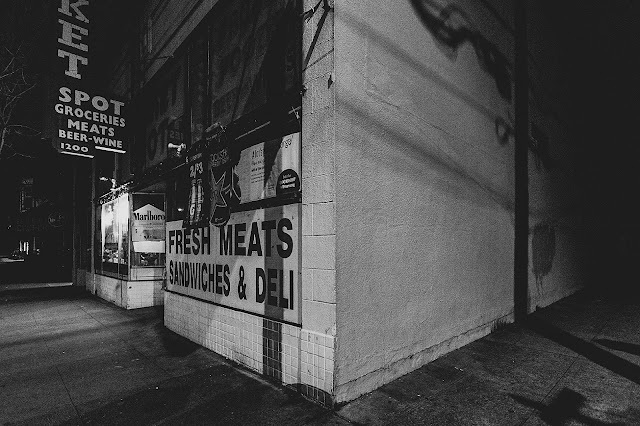 For 6AM I captured the fourth corner that houses a small local corner shop. There are many of these small shops down Lincoln avenue.